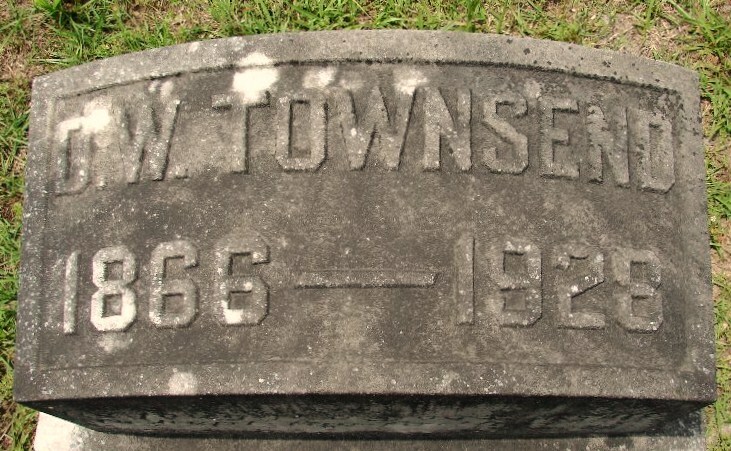 Millard C. Townsend, subject of previous posts , and his family became residents of Ray City, GA some time prior to 1920. Townsend studied at Mercer University in the 1920s (see Millard Carnege “Mill” Townsend, of Ray City, Made Mark at Mercer , Millard C. Townsend and the Mercer Debate Team . Gravemarker of Daniel Wiley Townsend, New Ramah Cemetery, Ray City, GA.
His father, Daniel Wiley Townsend died at Ray City in 1928 and was buried at New Ramah Cemetery. After college, Millard moved to Roanoke, Virginia, where he boarded with the family of Charles A. Ball, a Virginia real estate agent. Millard took a job as a teacher at the National Business College, and later became the Personnel Director for the college. 1930 census enumeration of Millard Townsend in Roanoke Virginia. In the 1920s, Townsend lived in Ray City, GA.
Townsend became a leading advocate for special education and did much to organize support for mentally and physically handicapped children in the state of Virginia. Millard C. Townsend, former Ray City, GA resident, was a leading advocate for the mentally and physically disabled in Virginia. Education of mentally retarded and physically handicapped children will be the theme of an address before the Junior Woman’s Club here Friday night, October 22. The speaker will be M. C. Townsend, personnel director of National Business College, Roanoke, and one of the state’s pioneers in the mentally retarded education program. Townsend appeared here last June at the invitation of instigators of a movement to start a Council for Retarded Children here. His talk drew warm response, and since then efforts have been pushed to establish such a class here under auspices of the State Department of Education and private groups. Townsend is a graduate of Mercer University, Macon, Ga. The father of an mentally retarded child himself, Townsend early became interested in a plan to train and educate such handicapped children. appropriations to the State Department of Education to assist with educational programs for the handicapped. Former Governor Battle named him to the first commission to study the needs of mentally and physically handicapped children. The Junior Woman’s Clubs of the state numbers the program as one of its principal projects and has offered its support to local councils fostering the educational program.